History has shown time and again that the path of change is never easy. Revolution is always full of struggle and the corporate world has always struggled to implement new technologies. Time and again the market tests you and only the most persistent and tenacious ones survive. It is known that there are numerous hurdles while introducing a new technology in our world and the same can be witnessed from the report of Forrester. It takes years of hard work and dedication to bring the best out of those years of struggle. But why the technology of blockchain is the hardest of all the nuts to crack among upcoming technologies? The prime reasons can be – (a) the applications of the blockchain and distributed ledger technology is numerous but at present stage of its development, it is compatible to usage at few workspaces and fields only; (b) Most of the blockchain service providers don’t provide compatible software. The other reasons are the difference in promise and delivery of end product for the users and the inexperience of executives in understanding, evaluating and implementing the blockchain technology. This inconsistency can be due to several reasons like time constraints, cost, FOMO, PR among others. The problem starts at the root with corporates not expecting a tedious and ruthless aspect of a booming tech. Nasdaq’s senior vice president and head of product management for the market technology, Magnus Haglind in a talk with Bloomberg was reported saying, “The expectation was we’d quickly find use cases, but introducing new technologies requires broad collaboration with industry participants, and it all takes time.” The truth of the market is very harsh where 51% of the market is capitalized by tech giants like IBM and Microsoft. If either of the firms fails, it will directly impact the other player. 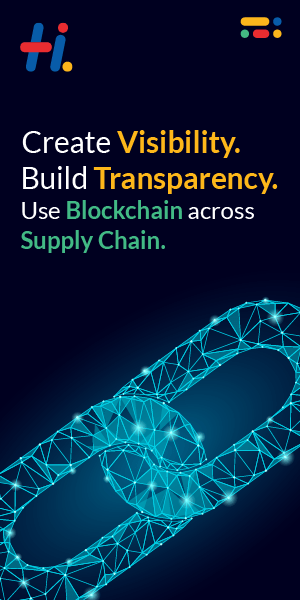 The blockchain is one of the most disruptive and transformative technology and corporates should evaluate every decision with deep insight and understanding of the product, customers, market and their own position. The point is not to give up or abandon the project, rather, take it as a challenge and evaluate every move. To survive the pains of failure and taste success the budding businesses would have to face many winters to enjoy the sunshine. The competition is becoming stiffer with globalization and increased market capitalization of big players. The blockchain world not only needs innovators but also businessmen who would be persistent to survive the race.